Children of all ages, especially young ones love jumping in muddy puddles, keep them smiling and having fun with our All Weather Suit. It's ideal to keep them dry during April Shower playtimes. As the weather predicted to be warm with plenty of showers throughout the month, order today to be prepared simply login at the top of the page. The two piece All Weather Suit is made with outstanding waterproof fabric offering protection from cool winds and rain with PU coating and taped seams. 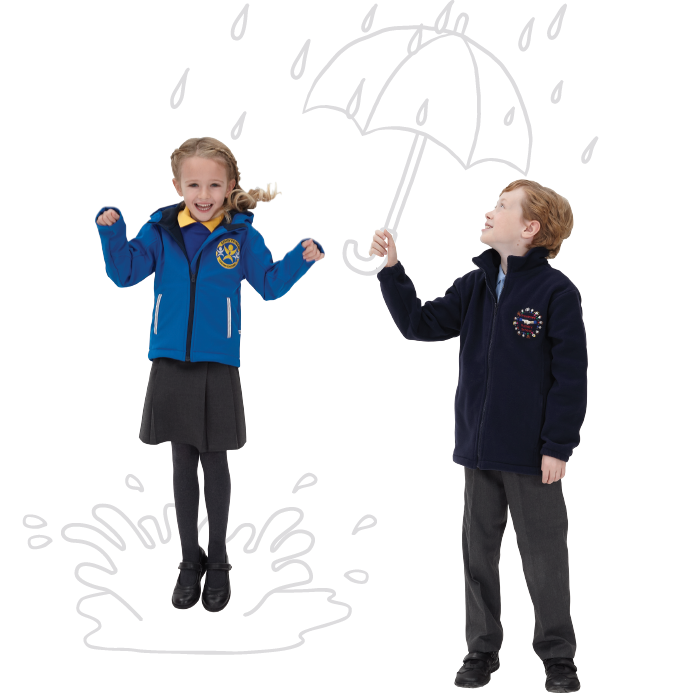 It will keep young ones dry and happy...Tweet us at @SchoolTrendsLtd to tell what you think of our rain suit...we would love to hear from you.